When Google first announced Android Auto back in 2014 at Google I/O, it started creating a lot of enthusiasm amongst car owners worldwide. Two years down the line, drivers today can easily access the fascinating world of Android running on compatible vehicles that interface with the Android Auto app. As always, Google is once again creating major strides this year at the ongoing Google I/O 2016 developer’s conference in California with a bunch of new and exciting announcements. 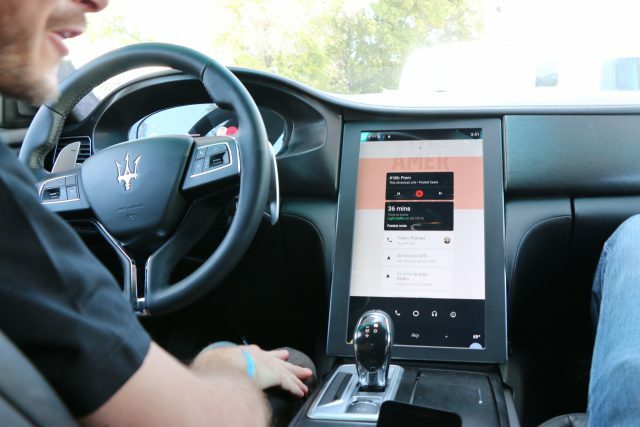 The company announced the world’s first Android car in collaboration with Maserati, one of the world’s most luxurious car manufacturers. Even though this is just an initial concept, we do get a fair idea of what we could expect from Android Auto in the future. Android Auto currently works in sync with the supported apps at the same time mirroring them onto the car’s mounted display. 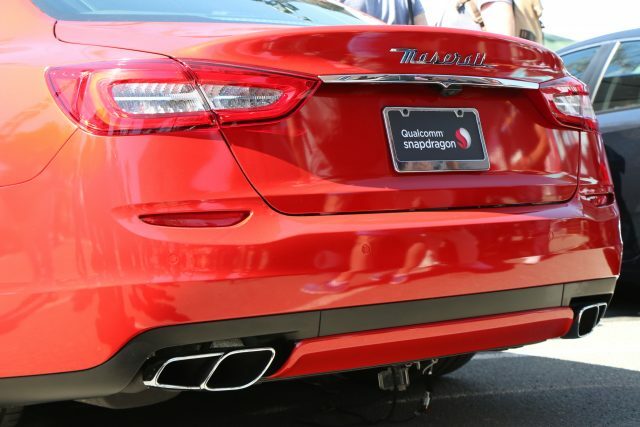 The Maserati on the other hand is running Android natively without the need of syncing it with secondary devices like a smartphone or tablet. The dashboard comprises of a huge 4K display which not only acts as your infotainment hub, but it also allows you to operate core vehicle functionality thanks to new APIs and features recently announced with Google’s upcoming (yet to be named) OS, Android N.
That means the same screen from which you’ve grown accustomed to playing music, making calls, and controlling navigation will now let you set your car’s air conditioning and seat warmers. This particular car actually has seat vibrators, controllable directly from the dash screen. The home screen shows a stream of relevant content on large, easily scrollable cards such as recent calls, possible destinations, and other bits of information you’re likely to want to see. And ofcourse you’ll have access to Android Auto optimized apps such as Pocketcasts, Spotify, Google Play Music, and Pandora. The experience looks brilliant on the huge 13-inch display, especially the big and bold maps while navigating. It’s all powered by Qualcomm’s Snapdragon 828 chipset, including the 720p display found behind the steering wheel. As mentioned earlier, the new Android Auto car integration is still in its early stages and there aren’t any consumer-ready vehicles that have been announced as yet. We do expect to hear more from Google in the months to come and hope for more compatible models sometime in 2017. What are your thoughts on Android Auto’s new features? We would love to hear your views in the comments below. Cheers! !